Official figures from the NHS reveal that almost 25,500 operations were cancelled at the last minute in January-March 2018, the highest number since quarterly records began in 1994. This represents 1.3 per cent of total admissions, the highest since 2005. In addition, 11.6 per cent of patients who had their operation cancelled did not have their treatment rearranged within 28 days. The latest NHS performance statistics also show that the number of patients having to wait more than a year for NHS treatment has now reached 2,755 patients. In March, the number of patients waiting more than 18 weeks to start planned treatment was 491,102, compared to 362,527 at the same point last year. Only 87.2 per cent were seen within 18 weeks, meaning the Government’s 92 per cent target has not been met since February 2016. 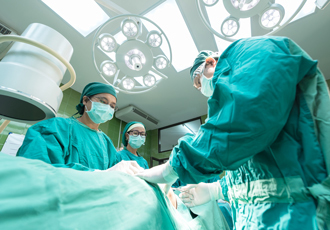 The Royal College of Surgeons (RCS) has expressed concern about the figures and has attributed the increases to the extreme pressures experienced by emergency departments between January and March. In March, only 76.4 per cent of patients were seen within four hours in major A&E departments, the worst performance since modern records began. The college says this is likely to have resulted in hospitals cancelling planned surgery to focus efforts on patients needing emergency treatment.